We invite you to get to know our wide offer range of saddle boxes. 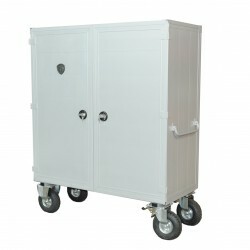 You can choose from one or two door boxes, available in various colors and sizes with very rich equipment. Our saddle boxes are characterized by the highest quality and aesthetics of workmanship. Attention to the smallest details results from many years of experience in the production of safes. Even bending of sheet metal, aesthetic welds and high-quality powder coating is not a problem for us. We pay particular attention to the safety of use and the satisfaction of our customers. 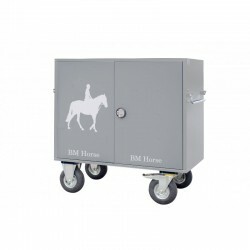 According to our slogan BM Horse saddle boxes have been created from experience. What is the saddle box and why is it worth having? 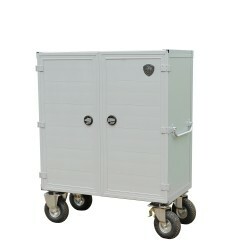 A saddle box is nothing more than a special box for storing riding equipment. This is useful, therefore, especially for people who are passionate about horse riding or compete in equestrian events. 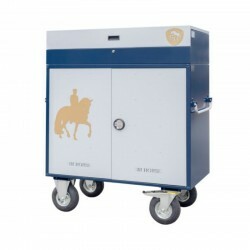 It is an obligatory equipment for every stud, as well as a center where riders train. Its use makes maintaining order in the saddler much easier. This is mainly due to the functional layout of the shelves, which has been planned in such a way to fit all the necessary accessories for horse riding. 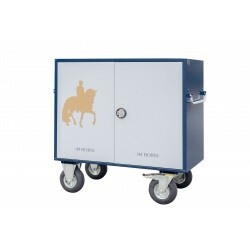 The riding gear box also consists of a saddle holder, retractable handle holders and practical drawers that allow quick access to the most essential items. What elements can be stored in it? These will include saddles, blankets, saddle rod and much more. 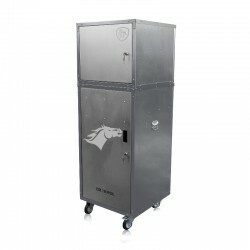 Riding wardrobe - how to choose the right model? The saddle box for riding equipment should be adapted to individual needs. 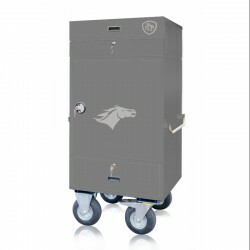 It can be made of a variety of materials, most commonly used for this purpose aluminum or steel. 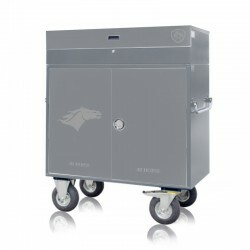 For your own use, a smaller cabinet will be sufficient, but in a horse-riding club it will certainly be useful to have a large crate for equipment. The size of the pack is also important during its transport. What else is worth paying attention to? The gearbox should have wheels, so you can easily transport it to any place. 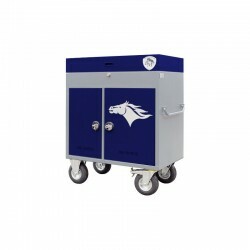 This is a special convenience during the competition when a mobile cabinet is needed. Usually it consists of drawers, shelves, saddle holders, and for bridles. It is also worth buying a waterproof cover to protect the box from scratches and possible damages during transport. Saddle boxes available in our offer are distinguished primarily by high quality of workmanship, which significantly increases their functionality. You can use them both during competitions and daily training. Each of them has been equipped with special compartments and drawers to easily organize all necessary accessories. What's more, we offer our clients the opportunity to personalize them. What does this mean in practice? 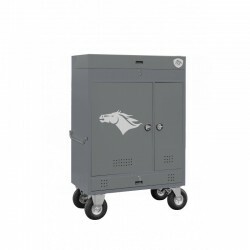 Our equestrian lockers come in many colors. All you need to do is choose the color of the body, door, tops and decorations. In this way, you can design your own cabinet. However, this is not all, because we offer equestrian packages with interesting logos, including horses. They differ not only in colors, but also in size. Their common feature is an extremely attractive price.